DCO is one of the largest generators of cogeneration and renewable energy projects in the Northeast. DCO personnel have developed more central energy facilities for the gaming industry than any other third party firm. Our formula is simple - what we believe is the best energy experts in the business, coupled with tireless work on behalf of our clients, has resulted in repeat clients and one of the best reputations in the business. Most importantly, it means a teammate. Our clients never have to look very far because we are right next to them every step of the way. We do not look for headlines, media attention or fanfare - we simply want to do what we do best, take care of your facility's energy needs, so you can focus on what you do best - whether your industry is gaming, education, healthcare or industrial. DCO Energy, LLC is an independent energy development company specializing in the development, engineering, construction, start up, commissioning, operation, maintenance and management, as well as, ownership of Central Energy Centers (CEC), Renewable Energy projects and Combined Heat, Chilling and Power (CHCP) Production Facilities. DCO was formed in 2000 with a core team of energy experts. Our mechanical, electrical controls, structural engineers and system experts are among the best in the business. Collectively, DCO team members have been independently developing projects or have developed and operated approximately 344 MW of electric, 619.23 MMBtu/hr of Heat Recovery, 2,857 MMBtu/hr of Boiler Capacity and 144,220 tons of Chilled Water Capacity of energy producing facilities totaling over $1 billion dollars of assets. DCO provides financing, engineering and design, construction management, startup and commissioning resources, and long-term operating and maintenance services for its own CEC, CHCP and Renewable Energy projects as well as third party clients. 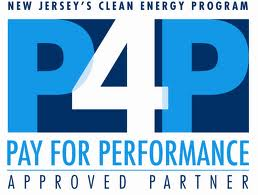 o Chairman – Joseph Jingoli & Son, Inc.
o Chief Financial Officer / Chief Operations Officer – Joseph Jingoli & Son, Inc.
o Chief Executive Officer – Joseph Jingoli & Son, Inc.
o President – Joseph Jingoli & Son, Inc.
2009 BCUA Wins New Jersey Clean Energy Leadership Award!